The Canary Wharf Classic, long established as one of the best tournaments on the world calendar, has a new title sponsor. The tournament will now be known as the Citigold Wealth Management Canary Wharf Squash Classic. It is the second largest PSA Tour event in Europe, after the British Open. The 2019 event returns in March and squash fans will soon join the annual clamouring for tickets when they go on sale in October. The tournament has completely sold out (every ticket, every day) for the past seven years. Next year promises to be no exception as the tournament cements its links with the world of finance. As one of the founders of the event, alongside the Eventis trio of Tim Garner, Peter Nicol MBE and Angus Kirkland, it has been a joy to see the tournament develop into one of the most successful squash tournaments in the world. We all hope that Citigold will enjoy their partnership with the Canary Wharf Classic as we continually strive to raise the standards of presentation alongside our host partners, Canary Wharf Group, who have been incredibly supportive and constantly innovative throughout the formation and development of the tournament. The superb East Wintergarden venue has become firmly established as one of the most iconic locations on the PSA World Tour, and the installation of a jumbotron screen above the front wall enabled the tournament to play a key role in the initial trials of the video review system. Earlier this year became it became the first ranking PSA World Tour event to use a best-of-three scoring format during the first round and quarter-finals, reverting to best-of-five for the semi-finals and final. 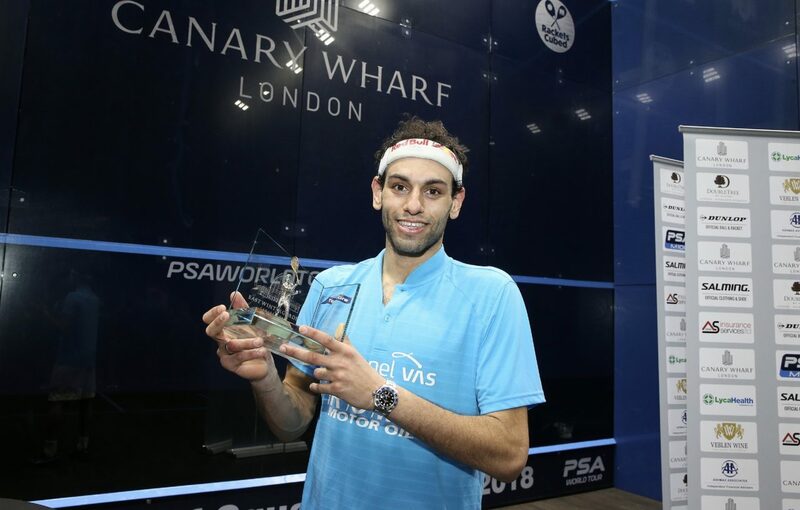 A strong field yielded an all-Egyptian quartet in the semi-finals, with Egypt’s World No.1 and world champion Mohamed ElShorbagy taking the honours after beating Tarek Momen in a pulsating final. Citi’s partnership with the tournament organisers will kick off at this year’s popular Corporate Challenge, an event that hosts teams formed by Canary Wharf occupants, who battle it out in the hope to be named best corporate squash team in London. The competition will be launched in October and will be rebranded the Citigold Wealth Management Corporate Challenge. The finals will be held next March as the teams rub shoulders with the professionals on the glass court. Since inception, the Canary Wharf Squash Classic has always had very close links with Canary Wharf Group. Lucie Moore, Head of Arts+Events commented: “Canary Wharf Group has supported the Squash Classic for over 15 years and we have seen it develop into the PSA World Tour event that it is today. The Corporate Challenge was first held in 1983 under the name ‘The Square Mile Squash Competition’ and has become a staple of the Canary Wharf Squash Classic, hosting some of London’s most influential corporations. The 2018 edition was won by Aviva Investors, who defeated OC&C Strategy Consultants in the final. 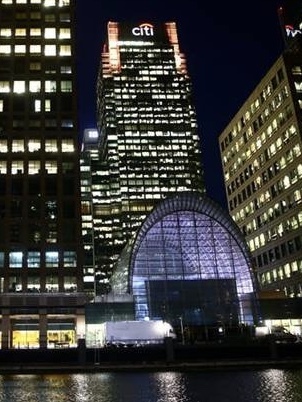 DIARY DATES: The 2019 Citigold Wealth Management Canary Wharf Squash Classic will see the tournament celebrate its 16th edition at the East Wintergarden from March 3-8. TICKETS: Tickets will go on sale in early October. BROADCAST SCHEDULE: Live action from the tournament will be broadcast live on SQUASHTV (Rest of World) and Eurosport Player (Europe only), while mainstream channels across the globe will show coverage of the semi-finals and final, including BT Sport, beIN Sports, Fox Sports Australia, Astro and more. 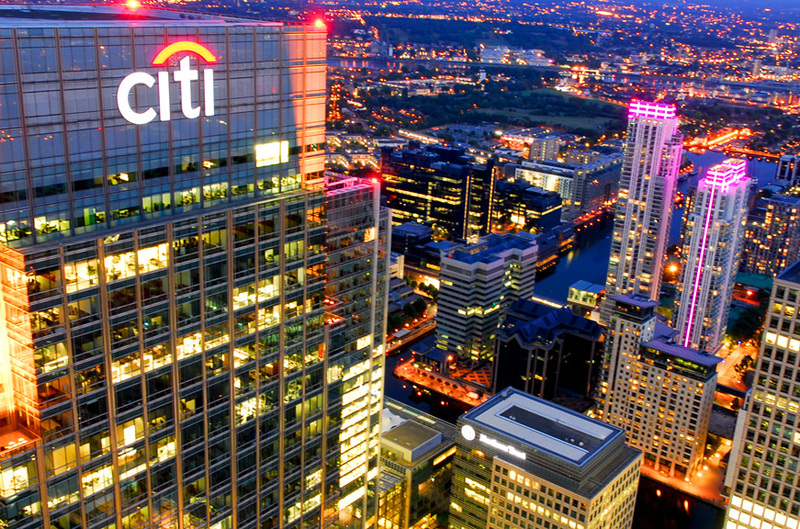 Citigold Wealth Management is part of Citigroup, one of the world’s largest and most historic financial institutions. With a network spanning 160 countries, we draw on this vast global reach to help our clients manage their wealth on an international scale and in a way that’s tailored to their needs. Our clients are partnered with a dedicated, Relationship Manager, trained through the Citi|Wharton Global Wealth Institute. A wider team of specialists works in support to fine-tune your wealth strategy and build a well-balanced, evolving portfolio that fits your risk profile. Our comprehensive range of investment solutions allows clients to diversify their wealth across international markets, multiple currencies and asset types. Your Relationship Manager can also advise you on offshore investment with Citi, maximizing your options to diversify while providing a truly holistic perspective on your wealth. We share our investment knowledge with clients through invitation-only seminars and a range of regular publications. Our partnership program, meanwhile, brings you exclusive privileges and invitations from our prestigious global partner brands.